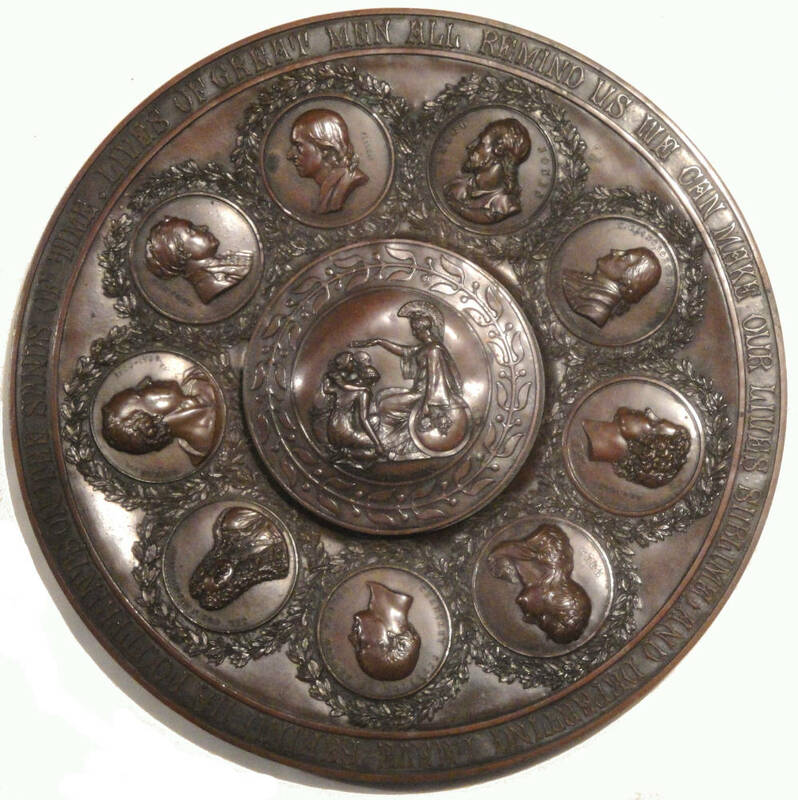 Art Union of London Commemorative Platter. Bronze, 12 inches in diameter x 1 inch high. Private collection. 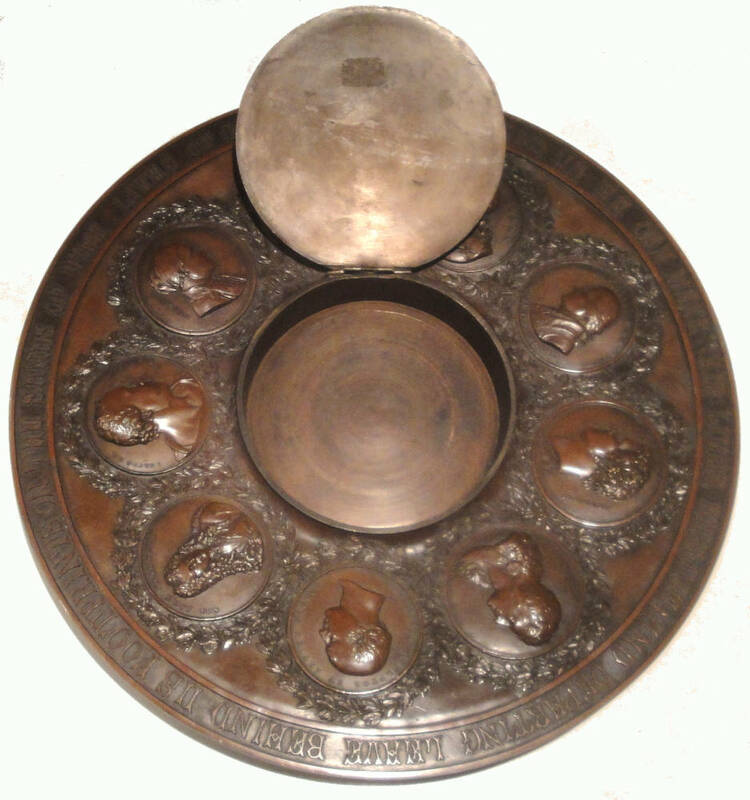 Inscription on outer rim: “Lives of great men all remind us we can make our lives sublime and departing leave behind us footprints on the sands of time.” The platter contains nine medallion portraits of Inigo Jones by C. F. Carter, Thomas Gainsborough by E. Ortner, Joshua Reynolds by A. J. Stothard, Christopher Wren by Benjamin Wyon, Francis Chantrey by William Wyon, John Vanbrugh by Benjamin Wyon, John Bacon by J. S. Wyon, William Hogarth by Leonard Charles Wyon, and John Flaxman by Henry Weigall. Click on image to enlarge it.